Sharing some outdoor Christmas light inspiration with you today. Decorating the outside of your home with lights for the holidays can be a daunting task especially with 2 story homes. The idea of getting on a ladder to hang Christmas lights..ummmm…not that appealing. But having an outdoor Christmas display is beautiful and something that is enjoyed by all who see it. 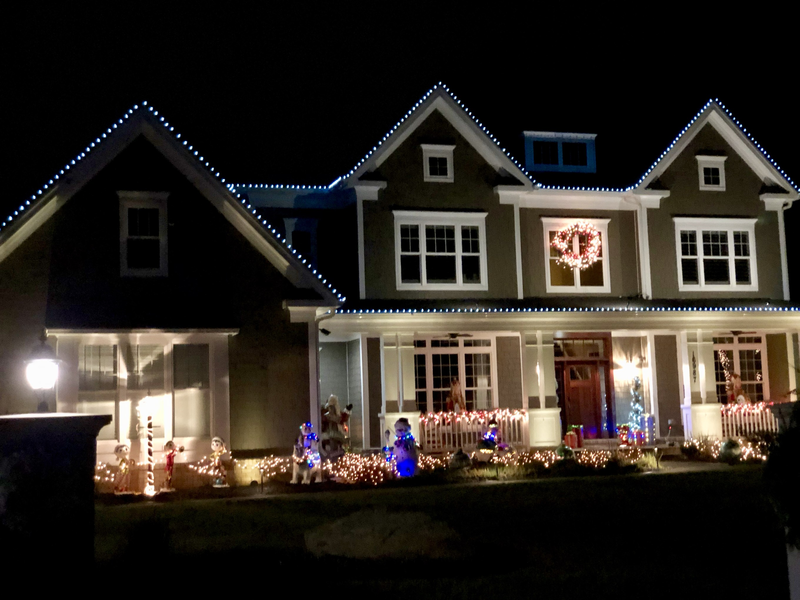 So today I am sharing some pictures of outdoor Christmas light decor from our neighborhood. Enjoy! LOL, I am not a fan either of the inflatables, but I do love lights, lights and more lights! Thanks for visiting, and have a wonderful holiday! Wishing you a happy holiday too!